The hit musical Grease is coming to both the Wii and the DS; this could go somewhere horrible rather quickly. 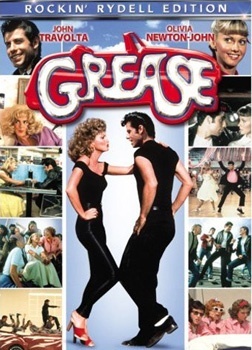 505 Games has proudly announced that it is working on a videogame adaptation of Grease, the hit musical film starring Jon Travolta and Olivia Newton-John that was based on a hit musical play (but inspired an awesomely terrible sequel starring Michelle Pfeiffer and Maxwell Caulfield). The game is set to appear on Wii and DS consoles. The Wii version is billed as being compatible with USB microphones and the Wii Balance Board; which means that the game will involve not only singing, but dancing, too. The DS version will apparently involve dancing, too, and DSi owners will be able to upload photos of their own faces to in-game characters. Grease: The Game is, at heart, a party game. Aside from singing, there's supposed to be a bunch of mini-games involving racing down Thunder Road and games from the graduation carnival seen at the end of both the play and the movie. Both games feature a story mode, too, where players work to win the heart of Sandy. The Wii version is also set to feature 16 songs from the movie. Maybe, if we're very lucky, there will be an unlockable Tony Manero costume for the Danny Zuko character.